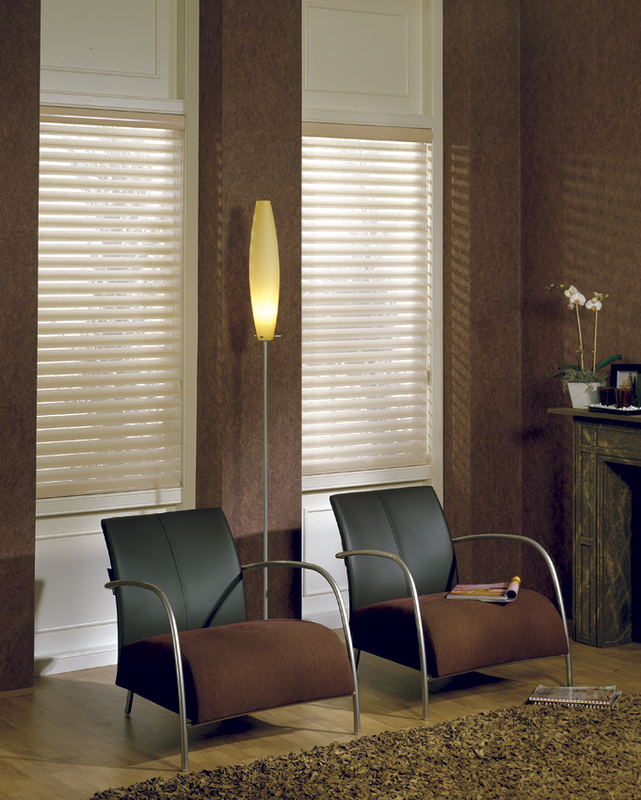 Drop into our LUXAFLEX® Gallery Showroom to see these stunning shades in person. 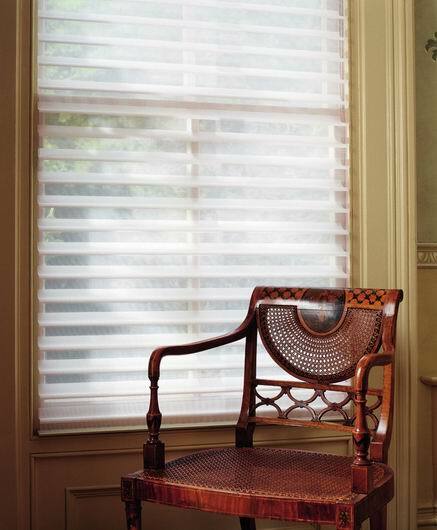 These perfectly designed shades close the divide between Venetians and curtains in a truly unique design which features fabric vanes suspended between two sheer fabric facings for complete light control and privacy. 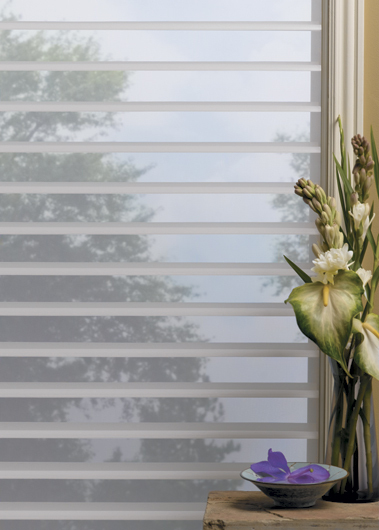 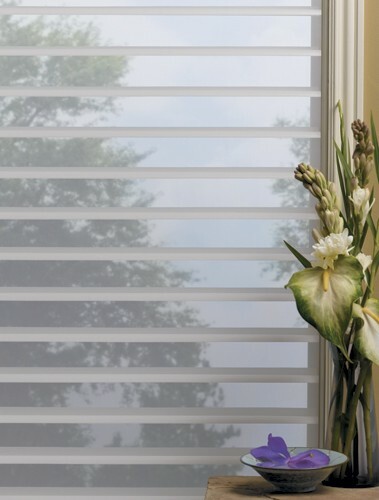 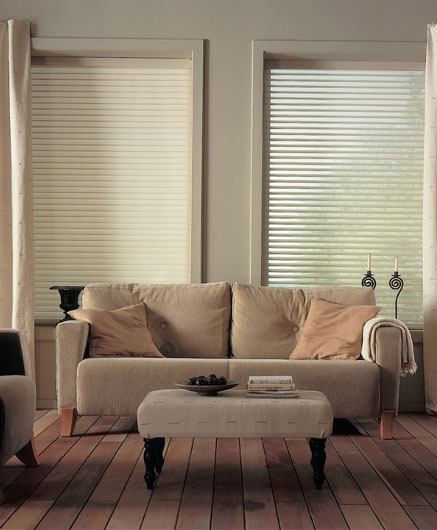 These shadings can be opened for a soft view, closed for complete privacy or tilted for flexible light control.